Another year, another tech company hoping to help save journalism. 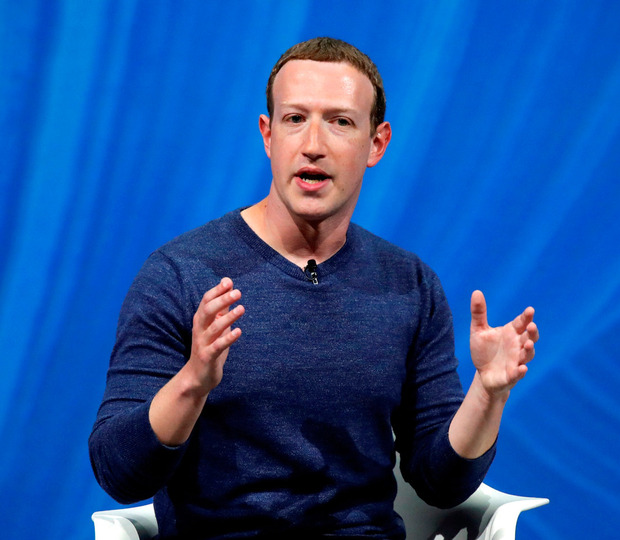 Facebook has announced it will be pumping $300m (€263m) into news organisations via a host of programmes and partnerships. These include a $5m gift to the Pulitzer Centre, spending $2m to place 1,000 journalists in local newsrooms across America, and a $6m project with regional publishers in Britain to recruit trainee community journalists. And there will also be a host of initiatives around membership and subscriptions, like the Facebook Membership Accelerator – a three-month pilot programme which promises to help news outlets “take a bold step forward in their membership approach and execution”. The focus is very much on local news. This is no surprise, as it fits neatly with Facebook’s mission to help build communities or, in this instance, replicate real-world communities online. Of course, Facebook is pitching this in an altruistic light. “Over time, we think this work can have the added benefit of fostering civic engagement, which research suggests is directly correlated with people’s reading of local news”, said Facebook’s Global News Partnerships VP Campbell Brown. But is there a more cynical reason why Facebook would splurge $300m on news? The social media giant needs a bit of good PR. Last year was an annus horribilis for Mark Zuckerberg. There was fake news, the exposure of activity from Russian trolls, the Cambridge Analytica scandal, data deals with device manufacturers; inflated video metrics; founders from Instagram and WhatsApp quitting; more Russian trolls, and working with shady public affairs companies to create a narrative that George Soros was orchestrating an anti-Facebook movement. And there’s another rocky road ahead in 2019. European elections mean there will be more accusations of electoral interference and political skullduggery. David Cicilline, the new chairman of a congressional antitrust subcommittee in the US, is eyeing laws to audit algorithms and give consumers total control of their information. Germany’s Federal Cartel Office has recently found that Facebook abused its market dominance to gather data on without people’s consent. So it’s no surprise that Facebook is trying to come out of the blocks with a positive story in 2019. But this is a story that may seem familiar to eagle-eyed readers. Now why could that be? Maybe it’s because last year Google announced that it would be spending, you guessed it, $300m over three years to support journalism. Could it possibly be the case that these two behemoths of digital disruption are so lacking in original thinking that they’re copying each others’ homework? But publishers can’t afford to lift a gift horse in the mouth and $300m will undoubtedly make a difference – especially if it trickles down to smaller local publishers who have struggled since, well since Facebook and Google came along and started hoovering up the advertising business. But as ever with Facebook, a self-serving motive lurks just below the surface. Facebook’s munificence is focused in two areas; helping publishers with news gathering and pushing them towards a subscription-based business model. Since 2017 Facebook has been telling publishers that it would be working on tools and technology that would support them in having a direct paying relationship with consumers. Who would benefit from this? Publishers who have the guts and the brand recognition to pivot to a direct revenue stream, sure. But Facebook benefits too. More publishers focusing on subscriptions means less competition for selling display ads. News outlets can’t afford to turn down a pile of free cash, but they should be aware of this ulterior motive. They should also be aware that consumers won’t necessarily take out a host of digital subscriptions to multiple outlets. A recent report from the Reuters Institute of Journalism predicted that 2019 is likely to see a consumer backlash to subscription models. The report found that only a small minority are likely to subscribe to digital news products, with the majority of users in most countries happy to rely on free advertising-based services.